Beautiful piebald horse closeup in the walking open-air cage, nice sunny day. The horse rose on its hind legs. 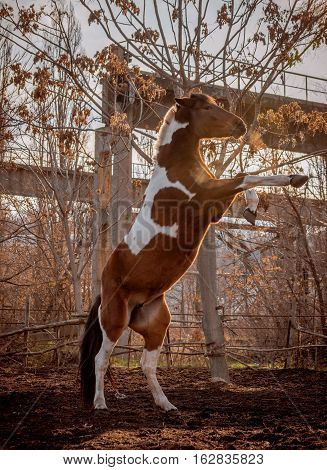 Horse walks on a pasture. Horse eating a hay at ranch summertime.